Hi everyone. Welcome to the February 2019 Birthday Calendar Challenge. Congrats to Seniorgal who won the random January coupon. Lynne and I would like to challenge you to create a Birthday Calendar. Each month you can use the free template to create a beautiful month. At the end of the year you will have a complete Birthday Calendar, which you can print if you like or give as a present. If by any chance you have missed the first month, no problem. We use the same template for every month, so you can easy join in. Last edited by Jeannette; 02-03-2019 at 06:51 AM. this is a great challenge. Thank you Jeanette and Lynne. Her's my February Calendar as a desktop image for my laptop. I've just finished adding the birthdays to my full sized version. I changed the page a little bit. Didn't like the way I had split the WordArt. Also, I added some musical notes and more fairy dust. Thank you for all your beautiful calendars. This thread is now closed. 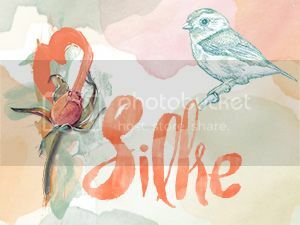 The random winner of this month is Silke Lemcke. You will receive a pm in the next few days! Hope to see you all again next monh!